This statistic shows the percentage of worldwide visitors to Google.com in November 2018, sorted by country. 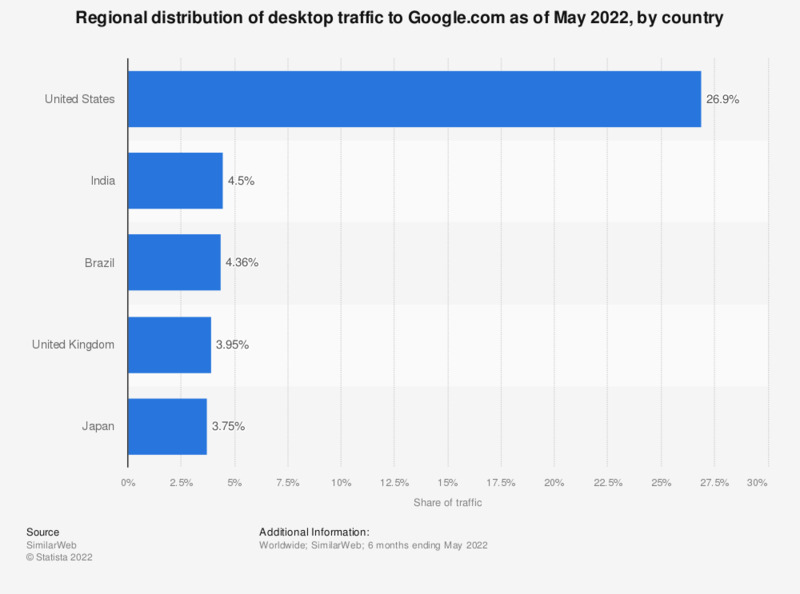 It was found that 2.8 percent of global Google.com visitors were from Brazil, whereas approximately one quarter of visitors to the search platform came from the United States. The source only provides information on the leading markets. Thus, values do not add up to 100 percent.